Netanyahu on Monday defended security forces for their actions by saying that Israel has obligation to secure border. Israeli troops shot dead dozens of Palestinian protesters on the Gaza border on Monday when the opening of the US embassy in Jerusalem. 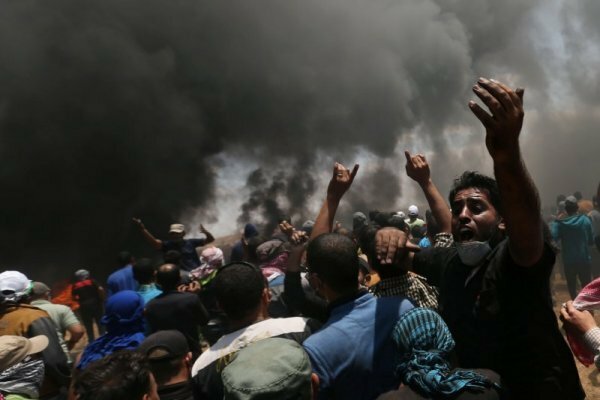 Palestinian Health Ministry officials said that 59 protesters were killed and 2,700 injured by live gunfire, tear gas or other means. The death toll rose to 60 overnight after an eight-month-old baby died from tear gas that her family said she inhaled at a protest camp on Monday. "WE WILL CONTINUE TO ACT TO DEFEND OUR SOVEREIGNTY"